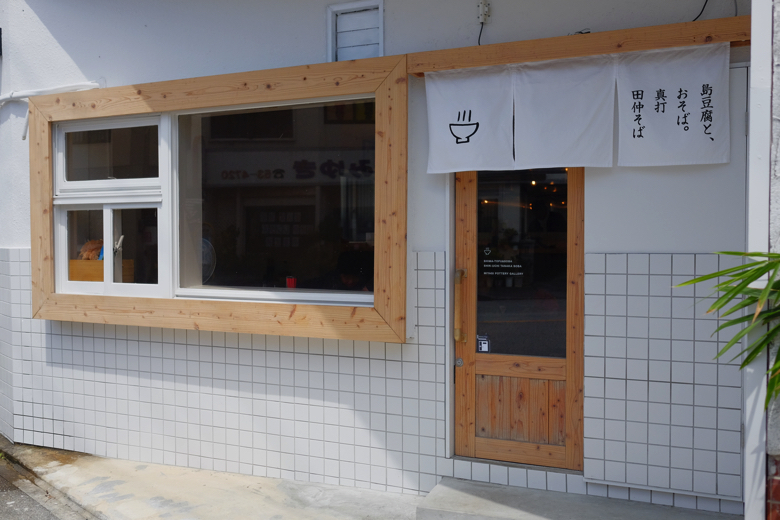 A new Okinawa Soba opened early this year in Nago. There are some parking spots in the back, but it’s really narrow neighborhood. The street parking should be OK around here if it isn’t too much. 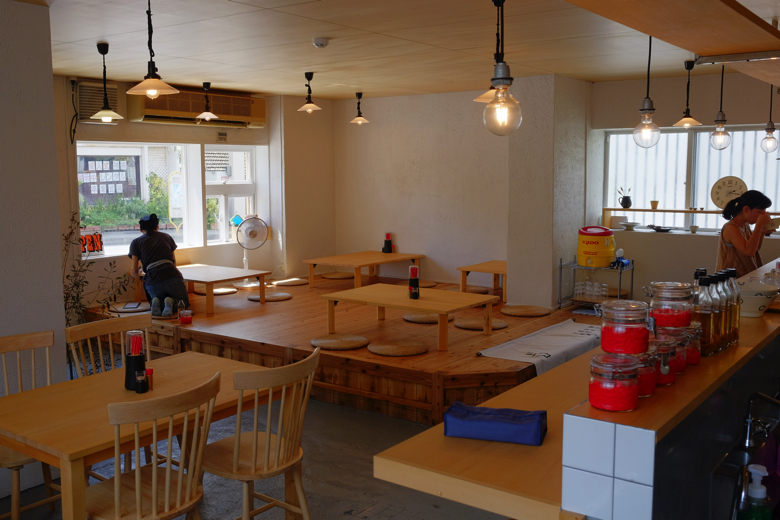 A very clean cut looking restaurant like a high-end Japanese Soba or Udon place. 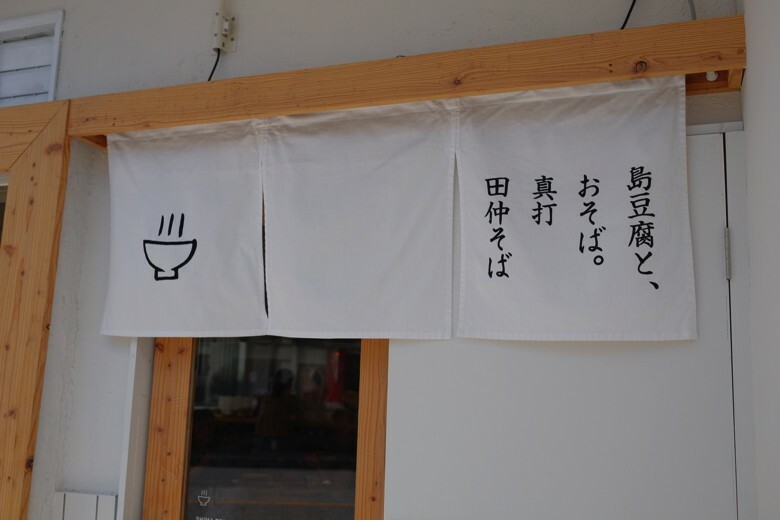 The sign says, Okinawa Tofu and Soba, Shinuchi Tanaka Soba. 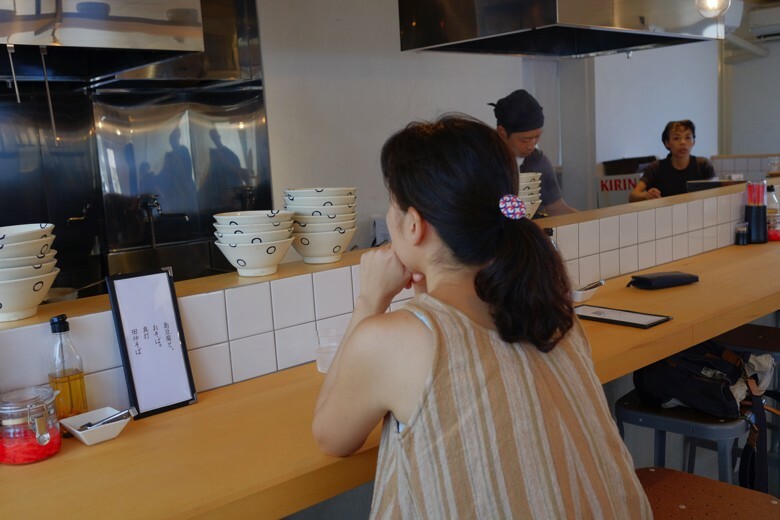 This restaurant is produced by a Ramen master named Chihiro Miyazaki, who won a Michelin star. There’s a ticket machine to check in first. 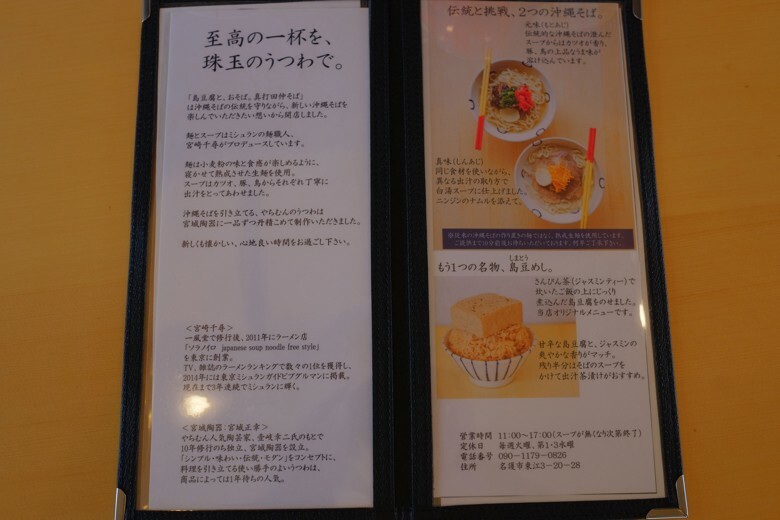 They have 2 kinds of soups to choose from. 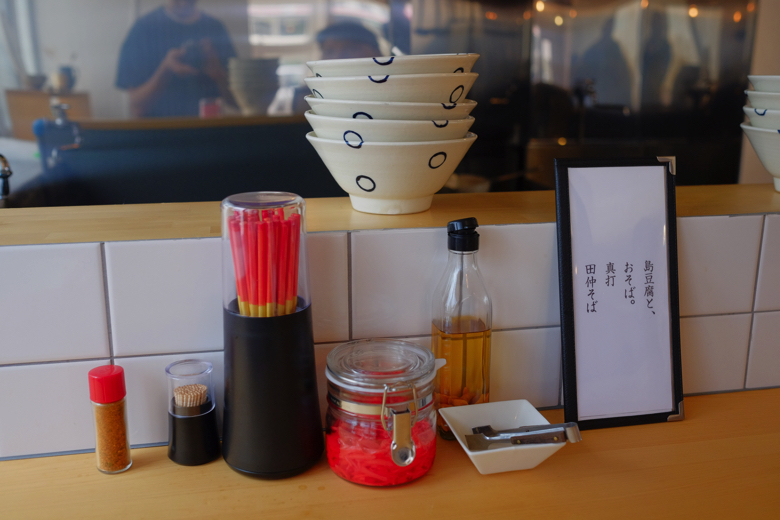 The red one is Moto-aji (the original flavor), which is clear, sharp soup. 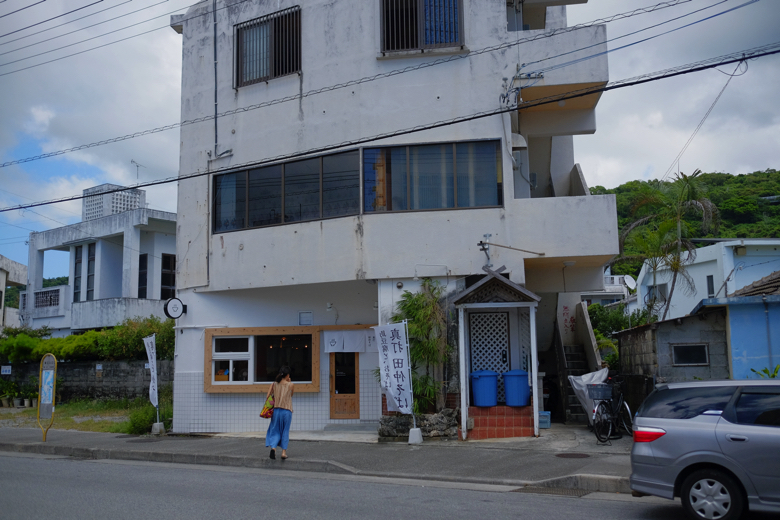 Closer to other Okinawa Soba. 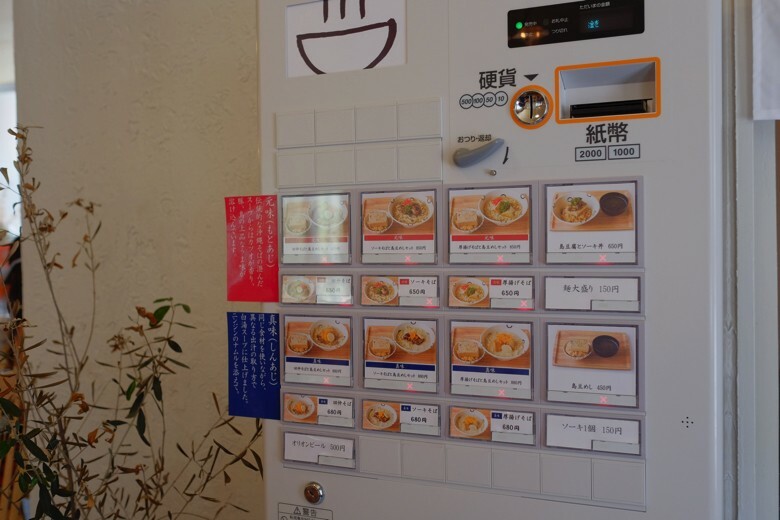 The blue one is Shin-aji (the true flavor), which is creamy, rich soup. 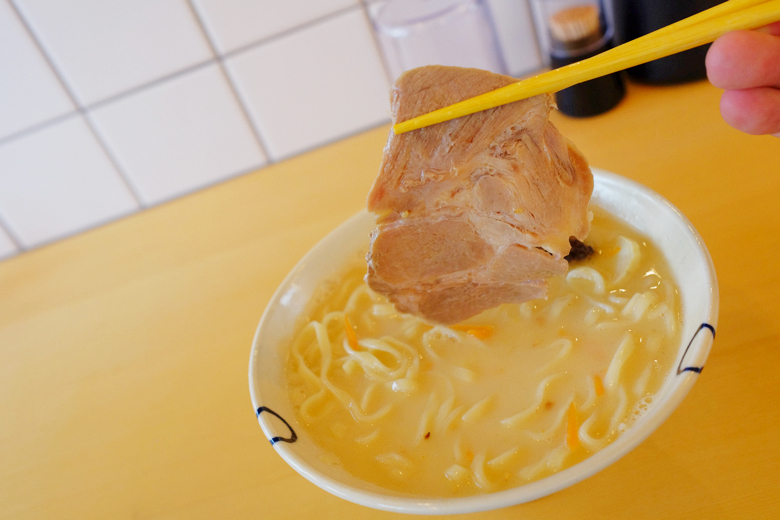 Like Tonkotsu Ramen soup. 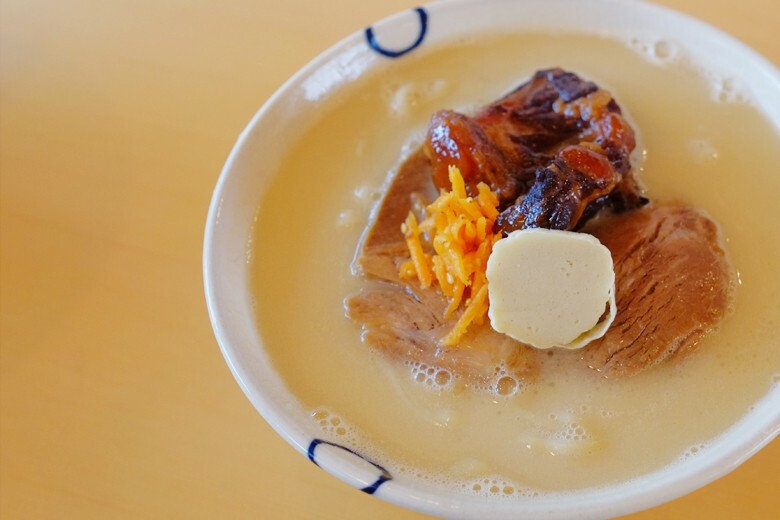 Surprisingly, both soups are made by the same ingredients of Katsuo fish, chicken and pork, but in different cooking methods. We came in the late afternoon, just before they sold out the soup and close for the day. We had no choice but the creamy soup. And there is supposed to be tofu on the rice, but it was sold out too. Too bad. I just love pouring what’s left of the soup over this tofu rice after eating all the noodles. I will have to come back to cover that. Every thing looks clean and organized. 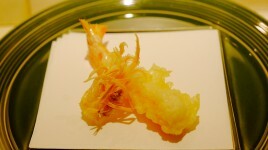 I feel the precision quality of Japanese traditional cuisine. 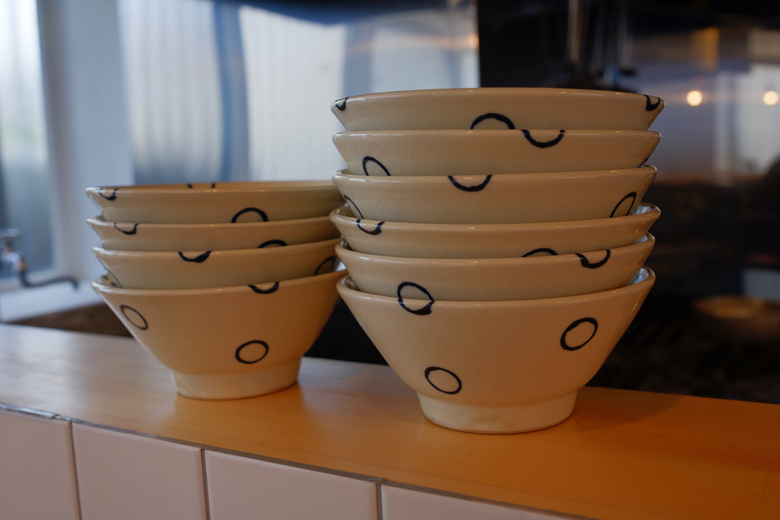 The cute bowl is made by a famous local pottery named Miyagi. Here it comes. 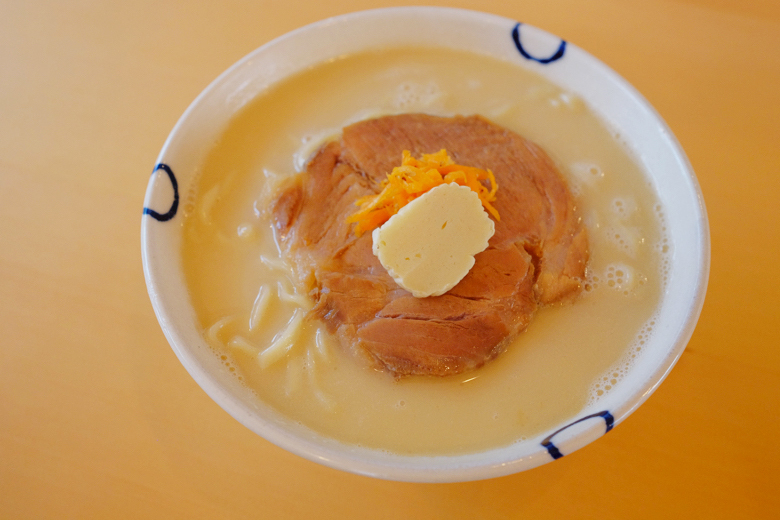 Creamy Soup Soba with boiled pork. I ordered the same but with additional braised pork ribs. Just simple, but precise looking. The soup tastes much like ramen soup but it’s still got a certain quality of Soba soup somehow. 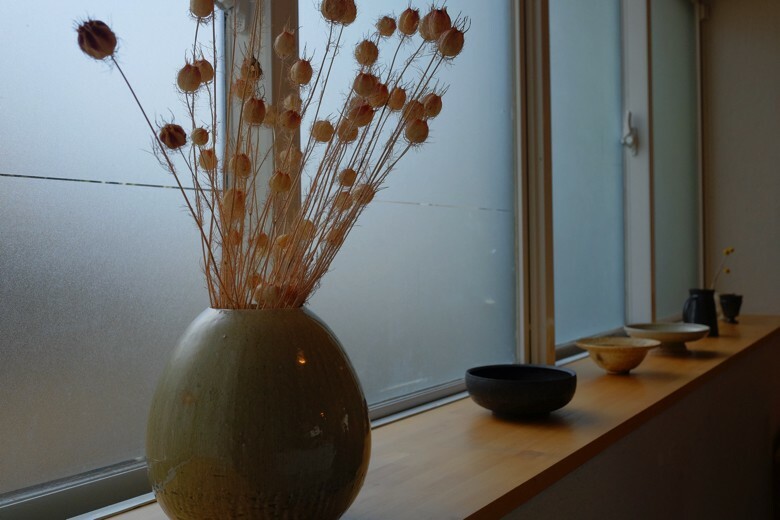 I would say it’s clearness of soba quality. This soup is rich, but not too rich, so you can still taste the delicate clearness. The salt is just right. The soup is good with noodles, and it’s also good as a soup, which is a pretty hard balance to find, I think. This is the housemade aged noodles. Excellent flavor and firm, chewy texture. Blends so well with the soup. Just perfect. I wouldn’t say “the best” because that is preference. 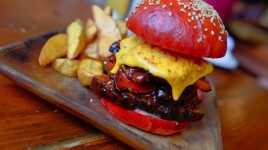 But it really taste like a perfect balance of its own. Nothing more, nothing less. 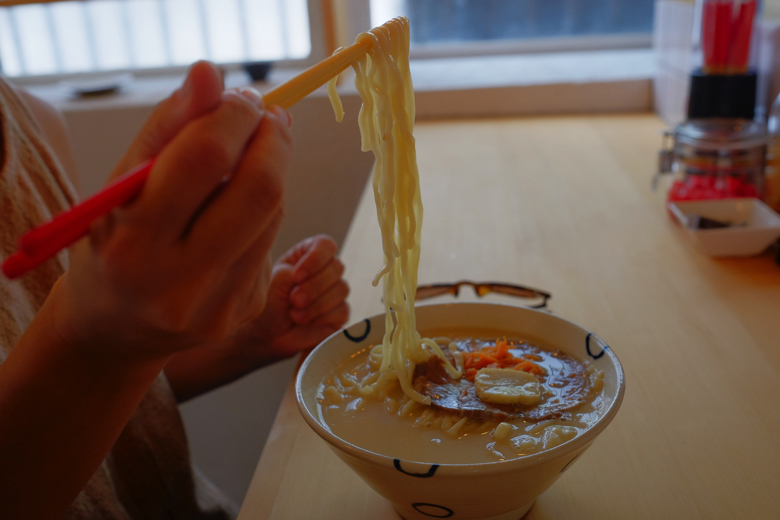 This noodle is what really sets it apart from other Okinawa Soba, I think. The boiled pork. I think it’s the shoulder (Picnic shoulder?). It tastes so good when you have a piece of this, noodles and soup, all at once. Chew it well and smile. So good till the last drop. 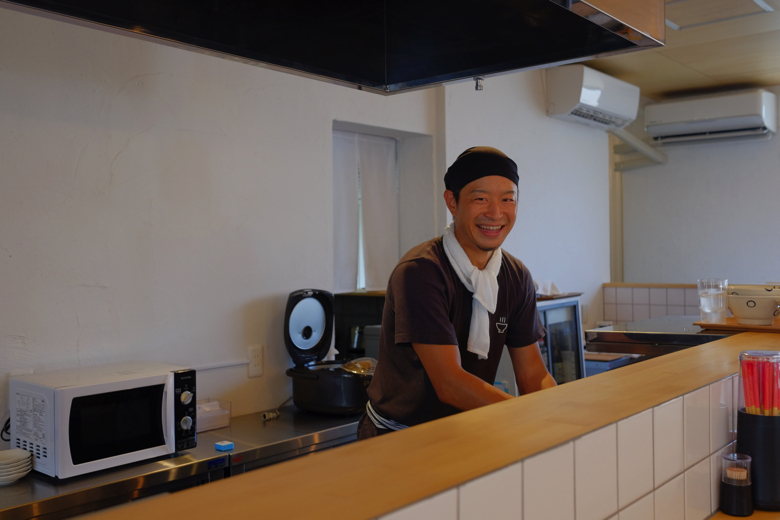 Looking at the chef tells you a lot about the food. 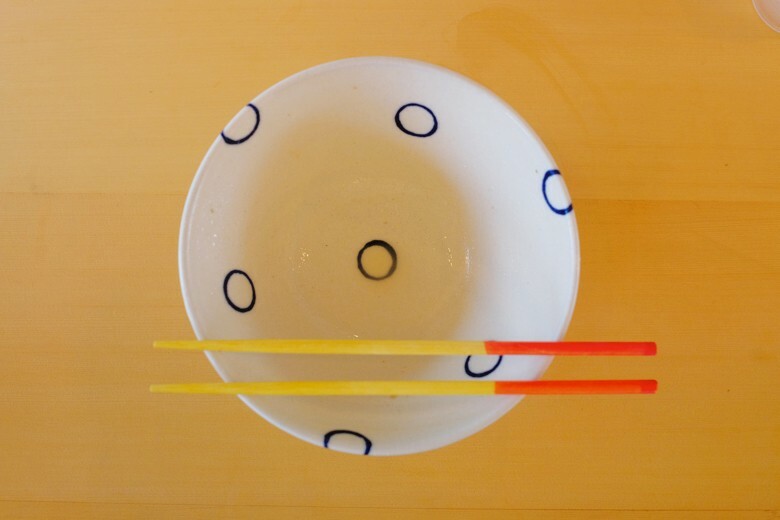 His gentleness and precision work shows in this bowl of noodles.